Bugaboo have JUST released their latest pram! 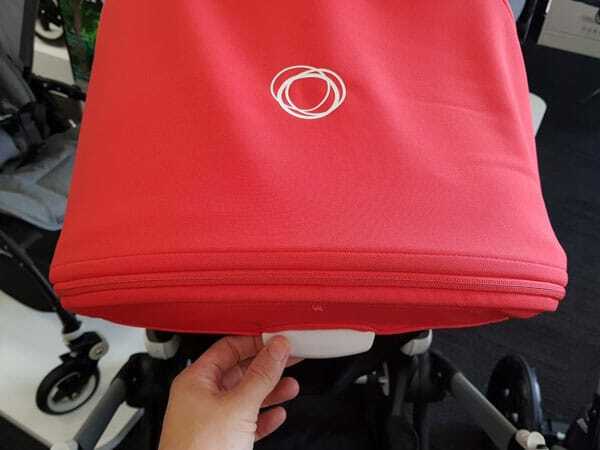 UPDATE: So since reviewing the Bugaboo Fox in store I’ve had the opportunity to do a thoroughly review the Bugaboo Fox at home (including a video review!) I’ll leave my initial review below especially for those wanting a to see the Bugaboo Fox vs Cameleon. 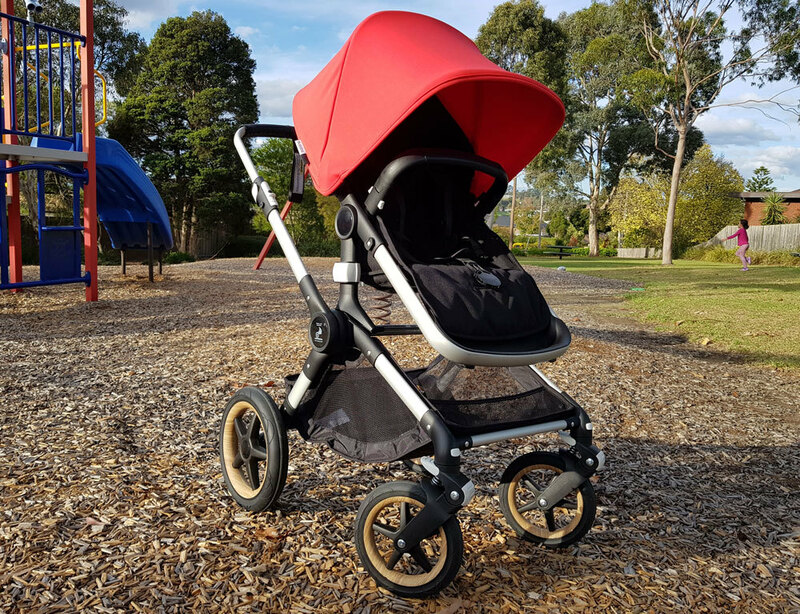 So I took the Bugaboo Fox for a spin through the usual suburban terrain – hilly footpaths, grass, playground mulch – fully loaded with a friend’s 3 year old and it handled really well. It’s super smooth and easy to push. It did catch a little bit on some of the bigger bumps in the grass, so that’s something to be mindful of. If you’re doing serious “off roading” then you’d likely need to lock the front wheels into the forward position so it rolls more smoothly. So with any pram when you lock the front wheels you’ll lose some maneuverability. But otherwise it rolled easily over mulch even with a big kid in the seat. Overall the adaptability of the Bugaboo Fox is impressive. The Bugaboo Fox is a great city and suburban pram, with some all terrain capability. So the Bugaboo Fox could easily be adjustibled between different aged siblings really easily as well. 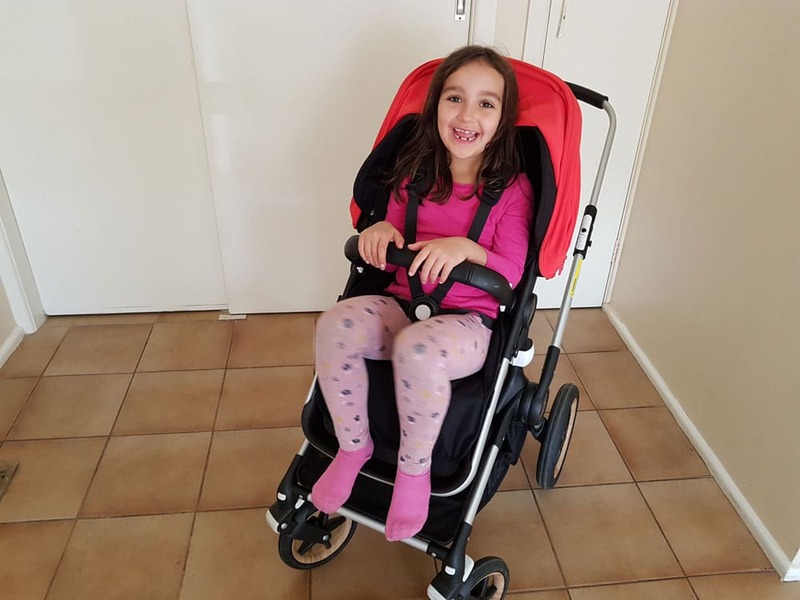 So while you may not have your older child in the pram all the time, it’s potentially an option to have them rest their feet for short periods of time knowing they can still be safely secured into the pram with the shoulder straps. When people ask me to recommend them a pram I often get people describing features that don’t really match. They want big wheels, big seat, big basket, big hood, big weight limit. As well as all those full sized pram features like a parent facing seat, one-handed recline, optional bassinet, all-terrain etc. But they also want it to be light, compact, easy to fold, and easy to lift. 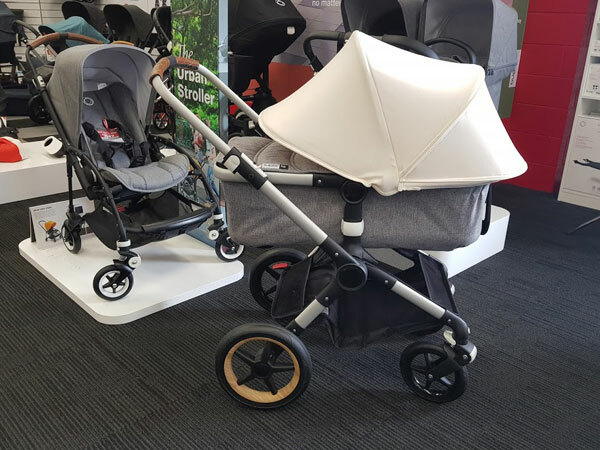 The Bugaboo Fox ticks all of those boxes, and even though it does lean towards the bigger side, it’s still pretty compact and lightweight, especially given its size. It is (just) under 10kgs – which is light for a full size, full featured, pram. It can fold with the seat attached. And can even fold with the bassinet attached! And I was able to fit it into my Kia Rio (small car) with a little bit of space left for some gear. Though did need to take the seat off the frame to give it a more compact fit. 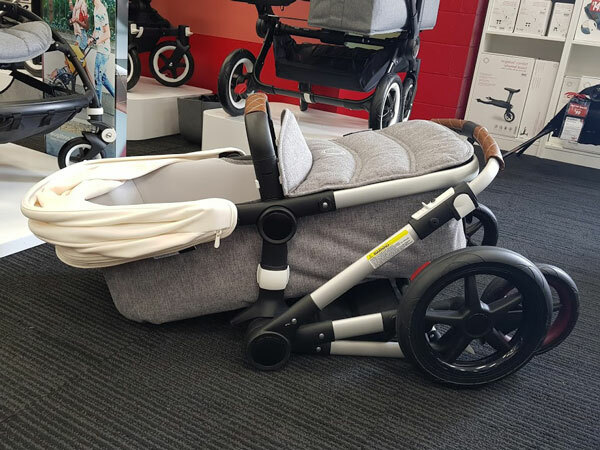 I had the opportunity to pop in to my local Baby Train store for a quick little play in store and I’ll be sent a Bugaboo Fox to borrow soon for a more thorough video review – so watch this space for the update! 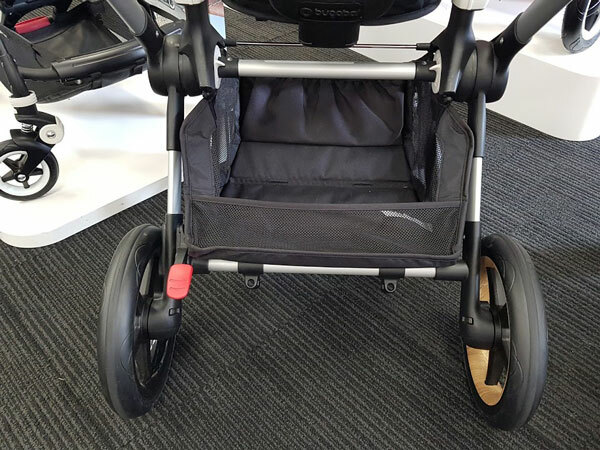 How Is The Bugaboo Fox Different To The Bugaboo Cameleon? 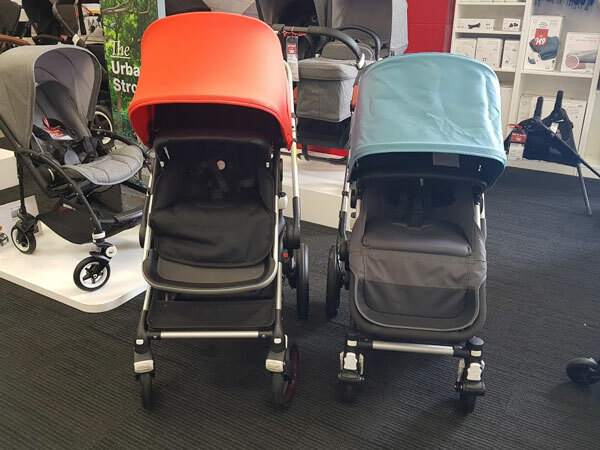 I decided to compare the Bugaboo Fox to the Cameleon partly because the Cameleon is Bugaboo’s most popular and iconic pram – and also because the Fox is essentially replacing the Bugaboo Buffalo – so once the Buffalo has sold out the Fox and the Cameleon will be being sold side by side. So you’ll need to know which of the two most suits your needs. 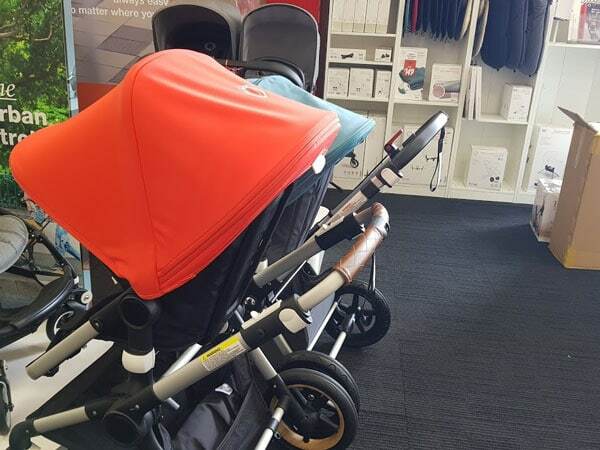 Firstly it’s worth pointing out that the Bugaboo Fox is coming in at a higher price point than the Cameleon, so you are paying for all these upgraded features. The One Handed Recline! – I’m a little obsessed with one handed reclines – if you’ve read my pram reviews you might have picked that up. Step Brake – Rather than the hand-brake on the Cameleon. And it’s step to engage and release. So your pedicure is safe even if you’re wearing open toed shoes. Folds With The Seat Attached – Another feature that always wins brownie points with me. Huge basket – Easily accessible with a massive 10kgs capacity! Easy to Adjust Harness – Just slide into position. No fiddling. No re-threading. Leather Handlebar and Belly Bar – Which is a very fashionable detail lately. The Fox is an all round bigger pram EXCEPT when it’s folded! 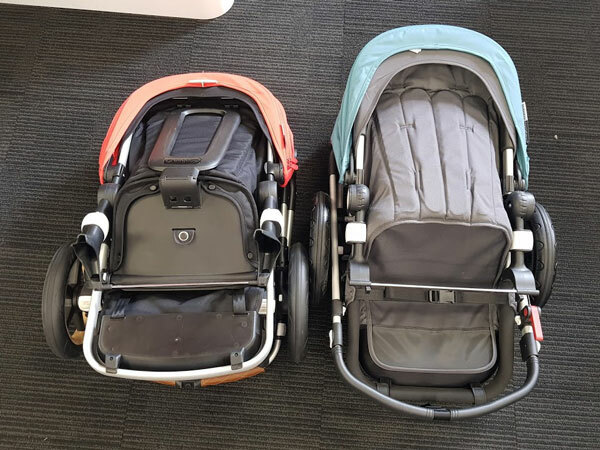 Despite the fact it boasts a larger – and higher – seat, bigger basket, and is fractionally heavier (Bugaboo Fox is 9.9kgs and Cameleon is 9.6kgs) the fold is more compact with the Bugaboo fox when the seat is detached. That said unlike the Cameleon the Bugaboo Fox can also be folded with the seat attached, facing in either direction. And you can even fold it with the bassinet attached! Though obviously these are a more bulky fold. And also there is still no automatic lock and the manual fold lock is a bit hidden (I missed it entirely when doing this review. Whoops!) So I think you’ll find you mostly won’t be using the lock. So you’ll just need to be careful when you’re lifting it up into the car to keep it all together so it doesn’t pop open on you as you load it into the boot. The benefit of not using the fold lock is that it does spring open easily when you are unfolding. Rather than having to fiddle and unlatch a locking mechanism. So that is something to consider. 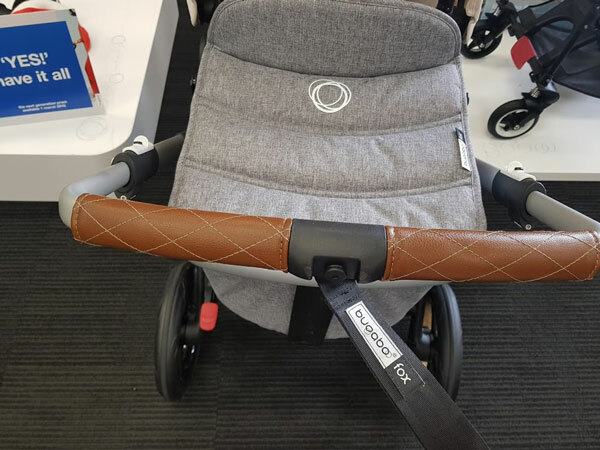 The telescopic handlebar on the Bugaboo Fox has a much lower setting than the lowest on the Cameleon, so it’ll cater to even the shortest of parents. And the angle of the handlebar is slightly lower compared to the Cameleon. So on the highest position it’s also further away from the pram – to allow for the longer stride of taller parents. There are also 10 height positions in total so you’re sure to find the perfect spot for you. So Bugaboo are very much a fashion focused brand. One of the reasons that they are so popular is you can customise and change the look of your pram to suit your own unique style. 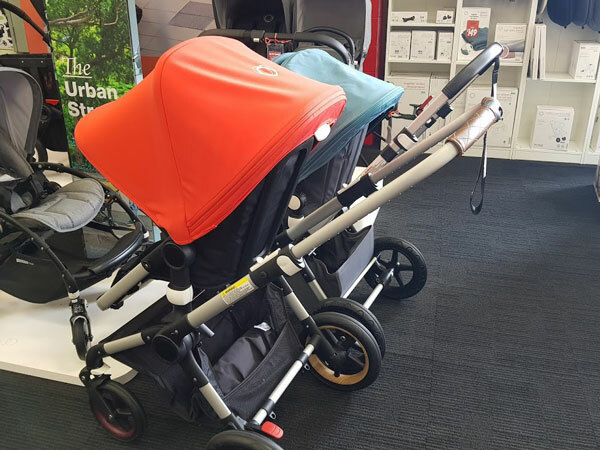 The Bugaboo Fox allows you to mix and match the colours from top to bottom. From the wheel colours to the hood and everything in between. 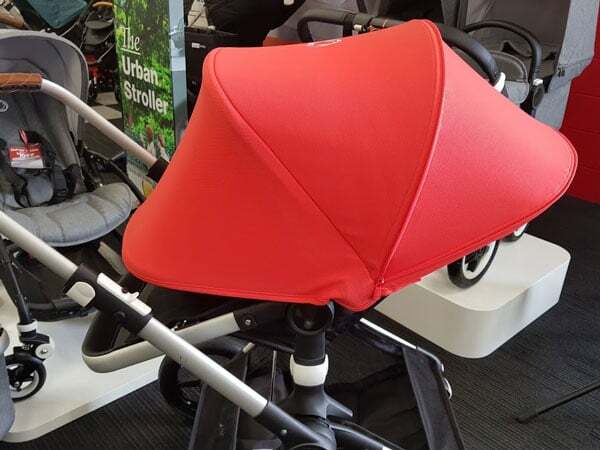 You’ll get to choose the colour of the chassis, seat fabric, sun canopy, handlebar, wheel caps, and the bassinet fabric (and the bassinet is included). As well as then being able to add the usual Bugaboo accessories, like a cute little parasol. 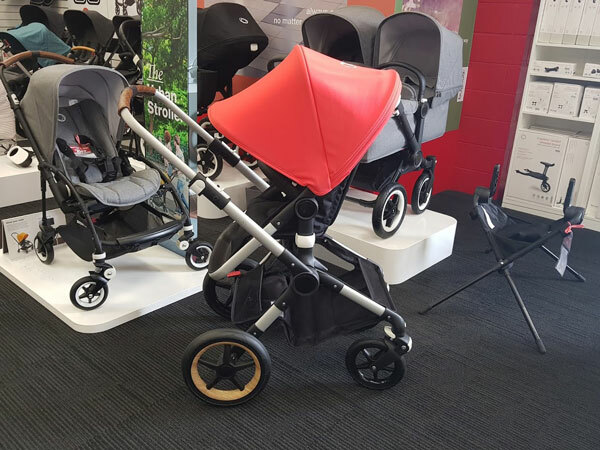 Ultimately the Bugaboo Fox still retains a lot of the expected features and performance of the Bugaboo brand. And even though this model is fresh to the market it is still easily recognisable at a glance as a Bugaboo. They have such an iconic style. I feel like Bugaboo are also great at listening to their customers and following trends. Basically just providing people with what they want. 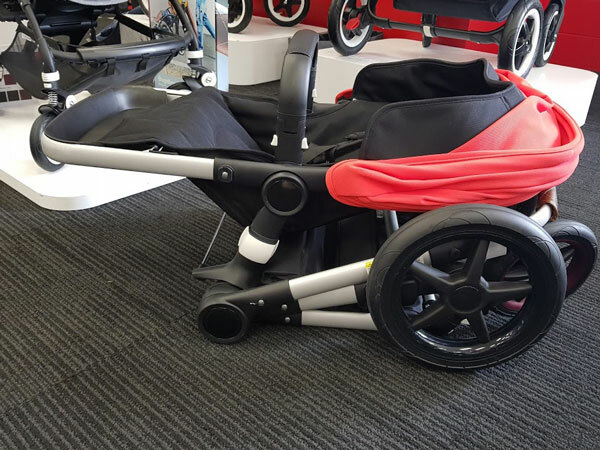 So this new pram just reflects what the market – and especially Bugaboo buyers – want. I’d still appreciate a simpler folding process. I love a more intuitive folding mechanism, whereas the Bugaboo Fox does take some practise (as does the fold on the Cameleon). But you definitely get the hang of it! But. But… but it’s so much money! It is. Sooo much money. You have to REALLY want a Bugaboo. You can literally buy a roadworthy car or an electric wheelchair for that many dollars. 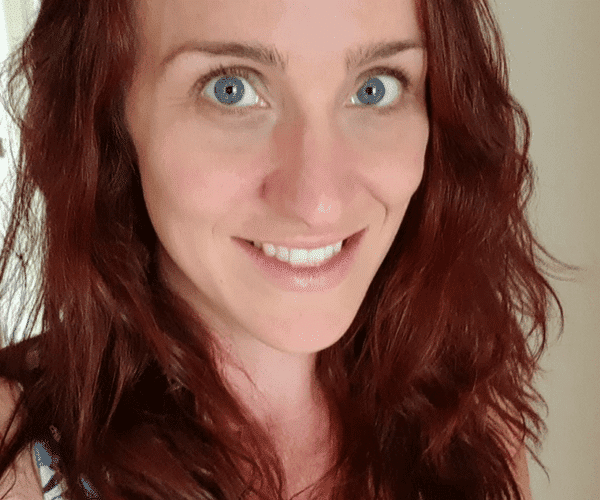 Laura Mcgoldrick and you’ll only use it till the kid can walk – we’re talking 18 months! Don’t get one then ??‍♀️? 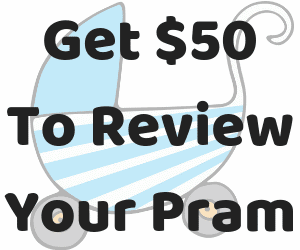 I’ve had a few different prams and these are just so darn easy to use! I’ve got a buffalo and I’ve taken it the equivalent of pram 4wdriving soooo many times and it’s still going strong ? I kind of want one. LOL not sure I can justify it now Madi is 1. Lol! It is so cool though. ? The bassinet is included for every bugaboo (except the bee which lies flat for newborns) so a newborn friendly seat is not necessary. ? Oh thank you! I should have confirmed that detail. I’ll amend the review. I’ve fixed it. I even got out of bed to turn on the computer to quickly edit! ? Thanks again! That’s dedication! Great job. I enjoyed the review ? The Bee doesn’t lay flat for newborn. It’s on a slight incline. The videos and info just keep getting better! I’ll fill you in when I see you! ? Danielle Holmes the fold is shocking but thats almost the only downside…..I’d love to know if they increased the weight limit on the seat though! The fold to me is good though! The seat isn’t as good as the buff, I have heard a limit but can’t remember. Was on a video! Danielle Holmes did you look at how bulky the fold is though!! There’s no point bragging about being a one piece fold if its giant like that. I love bugaboo!! Its the best stroller! Lets have a look at yours and then see if you need to up grade?
? love the look of the fox. We brought a cameleon for our daughter 2 years ago and is still perfect but this tempts me for sure to get a new one for baby 2. Bugaboo is an amazing brand! I’m about to have my fourth baby. I have a bugaboo donkey which I have had since my twin were born in 2014, I had three under two at one stage, my girls didn’t sit in the pram so it was great that I could have the donkey as a smaller pram. But the thing is, it doesn’t for in my 7seater car, with my twins in the third row. 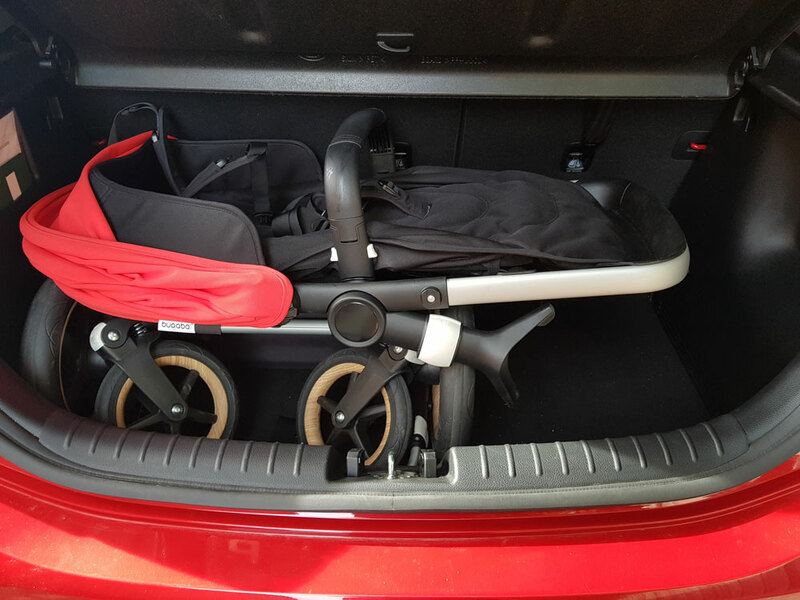 So this would be ideal because of the one click fold….I haven’t used my pram for my little guy for a very long time he isn’t even 2 yet, and yeah it’s pretty much because it doesn’t fit in my car comfortably. So this is something I would be looking for, as it may be a good fit and easy to pull out quickly with four kids in tow. But it’s a lot to justify! Which stores have this pram to view? I’m in the Sutherland Shire.